After writing my post last weekend about accountability, I had an overwhelming amount of people reach out to support me and I knew before the end of that day that I had absolutely made the best decision in asking for additional help. Thank you so much to everyone! Well, that gave me a little shot of inspiration and I decided that if nothing else, I needed to start exercising again. So, what has been my absolute favorite exercise? 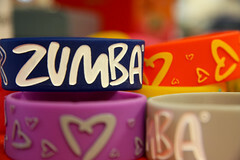 Zumba! Well, this past Friday, I decided I didn’t care and I was going to Zumba the night away! I am so sorry that you have been struggling! I am also sorry that one of your biggest cheerleaders throughout journey fell off the face of the earth! So know this! I am still here and I am praying for you every step of the way, in good and in bad! Get up and get moving honey. Please do me a favor if you haven’t already and watch Jason Anderson’s message on Hope from last weekend. It was fantastic! This is the verse he spoke on. Just something to think about… Mike too, read his Blog the other day. Love you all and miss you all. Thank you sweetie! I’ll check out Jason’s message – I watched Bob’s from the week before, but haven’t gotten to last week’s messages yet. Love you and miss you too! !